The choice of frame, whether for glasses or sunglasses, is an exciting and visible aspect to wearing spectacles and can say so much about your character. With eye contact being such an important part of our social and business life, our glasses are often the first thing people notice about us. 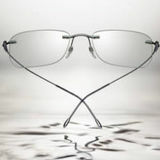 Therefore wearing a frame that suits you as an individual, helps to make a good first impression. Because of this we stock a broad range of frames for all face shapes to provide you with a fantastic choice of styles to suit you and your individual needs. We stock international brands such as RayBan, Oakley, Barbour, Guess, Gant, Ted Baker and Silhouette, just to mention a few. Our “British By Design” frames showcase the best frames designed in Britain often by smaller manufacturers. We will spend time with you, helping you choose the frame that’s just right for you and the image you want within the budget you have. So whether you want to go subtle and sleek or loud and proud, we’ll be on hand to advise you. 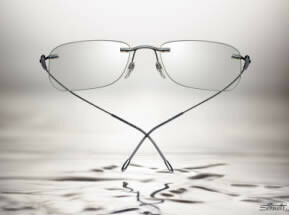 Lenses are an important part of your glasses and our dispensers are always up to date with new lens technologies. As part of your visit, we will discuss when you want to wear your glasses and for what type of activities, we will then be able to advise you on the best lenses for you. So if you want your spectacle lenses to go dark in the sunshine, stop the glare when you’re driving or be extra thin and light, or even all of these, we’ll be able to recommend the best product for you. We will be able to discuss the advantages of lenses whether it is bifocal, varifocal or single vision lenses that would be most suitable for you.